﻿ Computer Repair & IT Services | Orange County Computer, Inc.
Windows 2000 came into being in February of 2000 and set the stage for later more advanced versions of Windows to come. Windows 2000 series brought us automatic online updating, USB support, and FAT32 support from the consumer OS version of Windows 98 and Windows 2000 Server introduced us to Active Directory which simplified network administration. Within a few short years, Windows 2000 Professional was replaced by Windows XP, and Windows 2000 Server was replaced by the 2003 server edition. 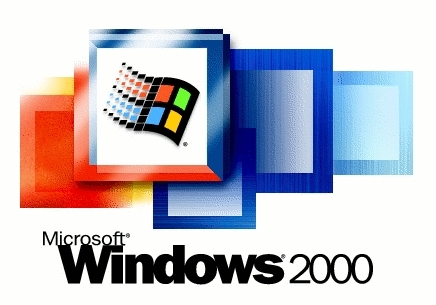 And while the 2000 series was off of the current product list, Microsoft has continued to support all four versions of its Windows 2000 series with service packs, critical updates and technical support for the last ten years. While still in use today, Windows 2000s’ life cycle will be coming to a complete end on July 13, 2010 according to Microsoft. The end of extended support means that clients that are still running a Windows 2000 Server will need to migrate to a Windows 2008 Server in order to continue receiving support from Microsoft and to ensure the latest and best security for their network. While Windows 2000’s security is fairly light by today’s standards, having no more security updating at all can mean serious problems for client’s who continue to use the OS without migrating to an updated and well supported version from Microsoft. The older architecture of Windows 2000 has been seriously compromised in the past by hackers and sophisticated viruses. In fact, as recently as September 8, 2009, Microsoft skipped over patching Windows 2000 Server for five rather serious security flaws stating that it would be “infeasible” due to the age of the OS and that to even try to patch them would require a re-engineering to a degree that could lead to incompatibilities with current applications that run on it. So with the Windows 2000 series on life support and Microsoft reaching for the plug, it’s best to finally give the venerable operating system the boot and look at migrating to an updated version before too much longer. Sure, it may be cheaper to beat a dead horse by continuing to run a Windows 2000 Server or workstation. However, in the long run the eventual down-time and potential security breaches from online attacks could lead to serious problems such as data theft or loss which could easily override the cost of a simple upgrade. The professionals at Orange County Computer® are skilled at these kinds of upgrades and can make upgrading your server a painless procedure. Orange County Computer® is your Comprehensive IT Solutions Provider.